When most people think of rugs—in particular, pile rugs—and of their origin, Persia and Turkey are two of the main countries that come to mind. 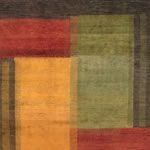 However, countries all over the world develop rugs, whether they are flatwoven, plain weave, or tapestries. 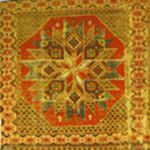 Since the earliest times in our history, skilled weavers have created many styles of rugs in different materials. Below is a guide to antique rugs. In the thirteenth century, Marco Polo’s journey through Asia took him to Turcomania (Anatolia), which was under the rule of the Seljuks at that time. While there, he had to take note of the remarkable carpets the weavers of that region produced. A series of carpets and carpet fragments have been preserved from the mosques of Konya and Beyshehir (located in south-central Anatolia). These pieces come from this early period of Turkish rule, and scholars have attributed them to the period when the mosques were first built. Islamic culture in Iran, Mesopotamia, and Central Asia was nearly destroyed by The Mongol invasion during the thirteen century. 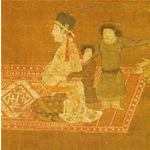 However, the culture survived, and by the fourteenth century, the Ilkhanid Mongol rulers had been converted to Islam and they became prodigious patrons of the arts. 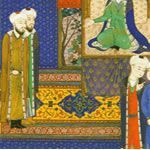 During the late fourteenth century, Timur, a Chaghatai Turk claiming he was descended from Genghis Khan, founded the Timurid Dynasty in a region that stretched from Central Asia to Eastern Turkey. Under his rule and that of his descendants, art and architecture thrived, brought upon by artists lured to the realm. The Osmanli—more commonly known as the “Ottoman” Turks—were one of many Anatolian ruling families, referred to as Beyliks. However, it took them less than 50 years to become the prominent Turkish dynasty there, and they would rule Western Asia and the Eastern Mediterranean until World War I. During that period, some of the most extraordinary pieces in the history of Oriental rugs were manufactured. The Mamluk Dynasty rose to power in Egypt during the mid-thirteenth century. 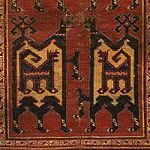 Originally “slave-soldiers” of Turkic descent, they ended up building a thriving carpet industry in the capital of their empire, Cairo, and many of these carpets have been preserved. 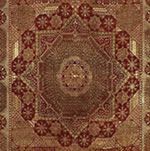 Mamulk carpet designs are known for being extremely complex, with large medallions adapted from Islamic geometric ornament that consist of intersecting compartments of various forms. The Timurid dynasty would not last long after the fifteen century. Turkoman dynasties in Mesopotamia and Northwest Persia had taken the power away from the Timurid’s in those regions. Around 1501, backed by nomadic Turkoman troops, Shah Ismail overpowered the Turkoman dynasties and established a new dynasty—the Safavid dynasty—across Iran that would end up lasting until the early eighteenth century. If early Aryan rulers in India created any carpets like their nomadic Iranian and Persian relatives did, no trace of them has ever been found. As such, the early history of antique Oriental rugs in India is quite unclear. However, by the thirteen century, Muslims conquered Northern India. They would come to establish the Dehli Sultanates, a kingdom with strong cultural ties to Persia. The farthest back archaeologists can find proof of pile rugs being created is the first to third centuries A.D., during the Han period. These proofs have been found along the western periphery of China. However, it’s nearly impossible to be sure of how early the carpets began to be produced in China since no evidence of them has been found going further back than that. 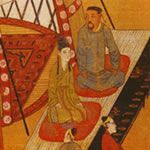 Historians believe that the Altaic nomads that are credited with inventing pile carpets eventually spread their technique into China, East Turkestan, Tibet, and even into the Middle East and Iran by ancient times. Examples of knotted carpets were created in Egypt by late Roman times, but there is no evidence that they were a part of the Roman heritage that ended up being passed down to Medieval Europe. Egypt was cut off from the Late Roman or early Byzantine Empire when it was conquered by the Islamic Empire in 642. 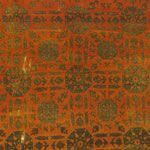 During this period, antique Oriental rugs disappeared from European material culture. Spain was the only exception, which ended up being conquered by the Muslims in 711. 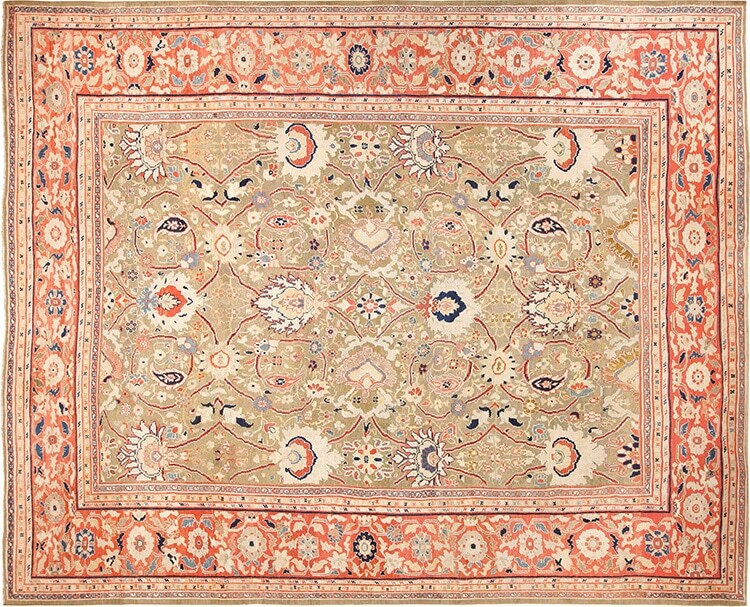 By the time the nineteenth century came around, European buyers were no longer purchasing the number of Persian rugs that they had in the past. The sharp decline adversely affected the production of these rugs in the Middle East. However, it wasn’t the only reason for this decline in production. When the Ottoman power also began to decline, the Turkish elite developed a taste for western styles. This, in turn, further weakened artistic production, which also included textiles and carpets. 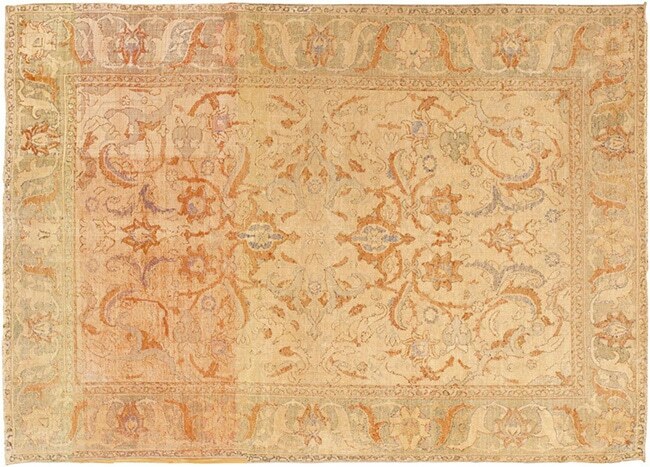 Oriental rug production received a huge incentive during the later nineteenth and twentieth century due to European involvement. This was great for invigorating the market, but it also came with its own set of drawbacks. Most adversely impacted was the realm of dyes. During the mid-nineteenth scientists, German scientist invented new dyes—synthetic, chemical-based, and could be produced much faster than vegetable-derived colors. 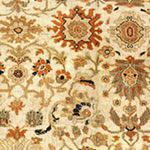 Antique Oriental Persian Carpets History - The weaving of Persian rugs probably began in the ancient Persian Empire of Cyrus and Darius the Great. 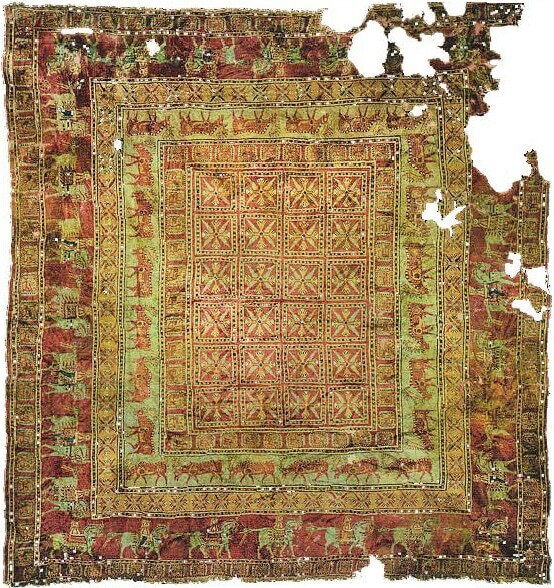 While no extant rugs of this early period have been found in Persia itself, they have been preserved in the ‘frozen tombs’ of the nomadic Scythians in modern day Siberia. 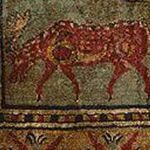 The tombs at Pazyryk produced fragments of a flat-woven wool tapestry and a virtually intact knotted pile carpet, known as the Pazyryk carpet, with figurative depictions and ornamental designs precisely like those in the reliefs of the Royal Persian Palace at Persepolis. Experts have not hesitated to see these as imports from Persia. The various fragments in a Sassanian Persian style discovered more recently in Afghanistan appear to also be Persian exports or local provincial copies. It is difficult to attribute the many rug fragments of the early Islamic period collected from Fostat in Egypt, but it is likely that some of these are Persian imports or copies as well. 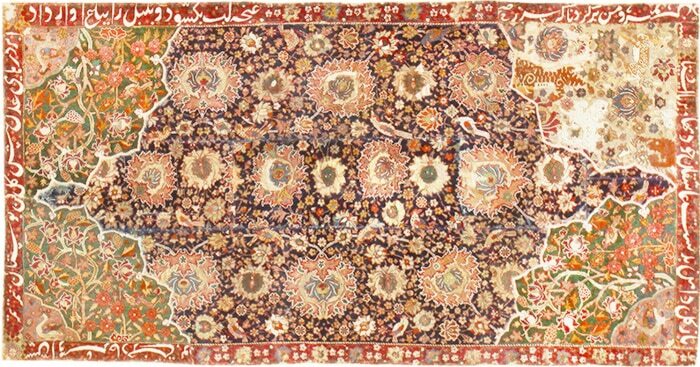 Persian traditional classical carpet production begins during the Mongol and Timurid dynasties in the 14th 15th centuries, where it is documented primarily in miniature painting and rare fragments showing mostly geometric designs precisely like those of the paintings. However, it is the Safavid period (1501-1722) that ushered in the Golden Age of classical Persian carpet weaving. Safavid court workshops produced carpets which, though often immense in scale, were woven in a remarkably fine technique with sinuous arabesque or floral designs of the utmost elegance and delicacy. 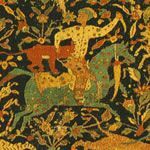 Safavid court rugs were so highly respected and prized across the Islamic world that they were imitated in the court workshops of contemporary Ottoman Turkey and Mogul India. 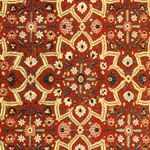 During this period Oriental carpets, especially those from Persia, were widely imported into Europe, where they still represent the core of the finest modern European private and museum antique carpet collections. This taste for Persian carpets is also well attested in the masterpieces of 17th century European painting, where they are frequently depicted as symbols of affluence or luxury. This extraordinary Persian production came to an end with the collapse of the Safavid kingdom in 1722. But during the nineteenth century, the Qajar dynasty began to foster a revival of traditional Persian arts and crafts in which carpet making and weaving figured prominently. All the great design traditions and technical accomplishment of Safavid rug weaving rapidly came to life once more, and by the later nineteenth century Persia had again assumed a dominant position in Oriental rug manufacture, with European offices established in Persia itself to accommodate the enormous European and now American demand. Since that time, the word ‘Persian’ has continued to remain virtually synonymous with the concept of the oriental carpet. Innovations in the spinning and dyeing of the wool materials have done little to alter the fundamental traditional techniques and Persian carpet pattern design principles of fine Persian rug production, which even today remains faithful to the higher standards of bygone times in a world where that is seldom the case.